RAW is a common name for different image formats used by different manufacturers of digital photo cameras. RAW is used to store an unprocessed image and preserves the original color bit depth and image quality very well. 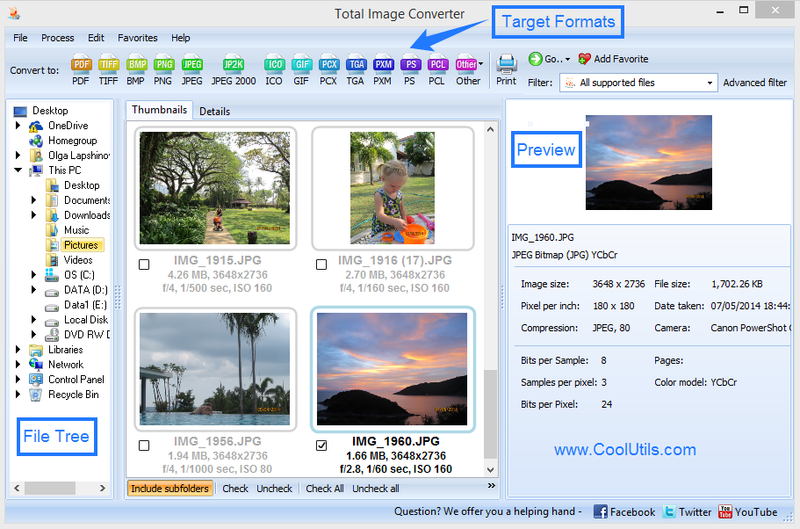 Total Image Converter supports a lot of different types of RAW formats developed by different camera manufacturers. This way, you don't need to use the dedicated software sold together with your digital camera. You can convert your RAW files to PNG, JPEG, GIF or any other popular image format and then process it using any graphic package. And though PNG has a 8 bit channel, which makes it impossible to convert the 12 bit RAW data, Total Image Converter preserves as much valuable data as possible when you convert RAW to PNG. For professional photographers working with different types of digital cameras, converting RAW to other, more universal digital formats often becomes an everyday task. 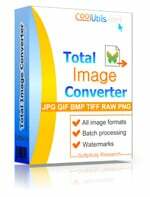 For this reason, Total Image Converter, an affordable and flexible solution that has a lot of handy features (like image resize or rotate) will quickly become your friend. Just try it! 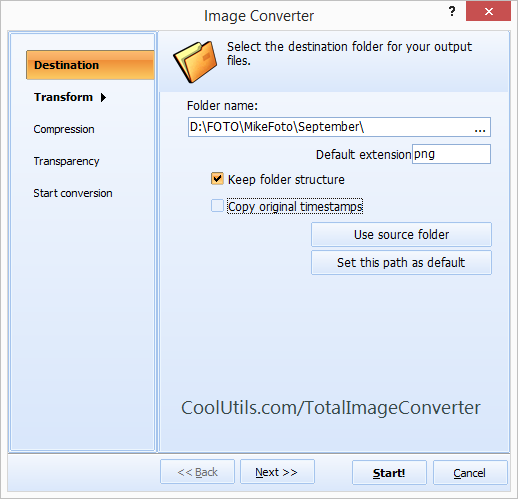 "I would like to Thank TotalImage Converter for converting my files. It was a very stressful moment when I thought that I had permanently lost my files. When I recovered my files, Total Image Converter was the only program amongst many that converted them to jpeg."